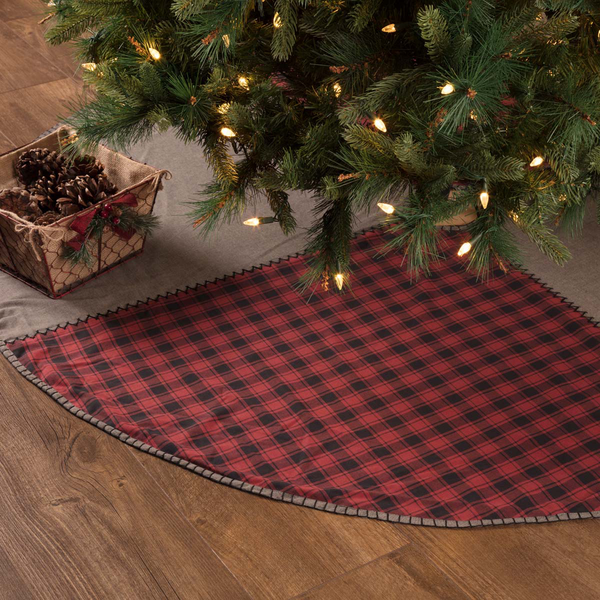 Andes Stocking Pillow 14" x 22"
The Andes Tree Skirt features alternating grey chambray and red buffalo checks to give this tree skirt holiday-inspired rustic overtones. Finished with thick whip stitching, flannel lining, and a 100% cotton shell. Reverses to red and black buffalo check found on front.